Nitn Apr 26 2018 3:37 am She is very talented actrees. Although her role in sunny is bit small but she stole the show. 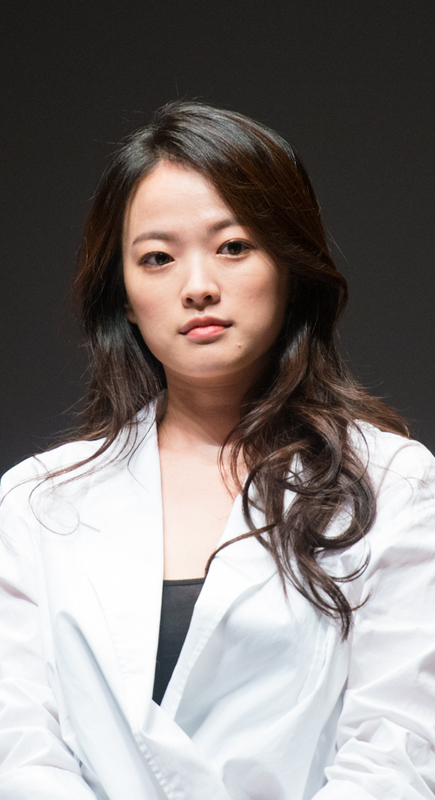 Han gong ju was a award worthy performance. I dont know why she didn't get many role she is so talented. She is as much talented as bae doona. Woohee Fighting Sep 06 2017 1:55 pm I first knew her in Love, lies. She's very VERY BEAUTIFUL there and cute and her acting performance is great! I'm always cheering for her since then. Today I just watched Sunny because I heard it's a great movie and then I saw her I was just wowwww. Her performance was truly amazing. A lot of respect for her. She threw away all make ups or being beautiful and just go all out for the role. I love her even more. Haven't watched other horror films that she acted in yet but I bet she did great there too. Sunny's director must have seen her talent so she was given that role. It's a small role but very important one that cause a turning point to the story. It seems like she doesn't have much popularity but I'm sure there are a lot like me who has seen her movies, amazed by her performance, and keep cheering for her from somewhere. loveme Jan 23 2017 4:27 am She's very gorgeous and sophisticated i hope she gets more lead roles. How come she barely has comments here? Please change her profile picture. Liv Oct 01 2014 11:59 pm Her role in 'Sunny' was really well performed. I finished watching it not long ago. Beautiful movie and such a great cast. I will be sure to check some of her other stuff out. doves&flowers May 04 2013 4:24 am Loved the movie "Sunny", and only saw it first time this late in May 2013. I want to give credits for a very good performance by this actress, miss Chun Woo-Hee, who despite been given such a sad, disturbed character to play, she did it very admirably. And not to take away the great performance by other young actresses in that movie, but somehow by the director's good eyes and this actress's very good performance I was moved with compassion for her character, after first disliking that character. GL with your future projects, miss Chun.